Details of the other dams have not been made public. Ultimately, the Phou Den Din National Protected Area will be partially inundated by the two northernmost dams, the Nam Ou 6 and 7, in violation of Sinohydro’s own environmental policy against development inside national parks. A pristine waterway and one of the last intact ecosystems in the region will change forever. Despite concerns of environmentalists and objections by neighbouring Thailand, Cambodia and Vietnam, the tiny, landlocked nation of Laos is following China’s lead in its exploitation of the Mekong River and its tributaries. The Mekong and its tributaries are the front line of a massive development drive by Laos’ communist, one-party leadership to lift the nation from the ranks of Asia’s poorest countries. On its completion in 2019, around 95 per cent of the hydropower dam’s 1260 megawatts will be exported to Thailand. This is almost a third of the power generated by the 16 major dams of Australia’s Snowy Mountains Scheme, built over a period of 25 years to generate around 3700 megawatts. On December 15 last year, Sombath Somphone, 62, a prominent campaigner for the environment and the rural poor, and a champion for sustainable development, was abducted from a police roadblock by two unidentified men in the nation’s capital, Vientiane. Somphone, the 2005 recipient of the Ramon Magsaysay prize, often referred to as Asia’s Nobel prize, has not been seen or heard from since. The Laos government denies any involvement. The official explanation for his disappearance was a ”business dispute”, although the activist has no business interests. The incident brought rare international attention to Laos, as then US Secretary of State Hillary Clinton and her successor, John Kerry, led calls for a thorough and transparent investigation into Somphone’s whereabouts and wellbeing. International calls to the Laos government for action and information on Somphone remain unheeded. In a recent statement by New York-based watchdog Human Rights Watch, Asia director Brad Adams accused the Lao government of direct involvement in the activist’s disappearance. The reasons for the activist’s disappearance are unclear. But Somphone’s abduction has worsened an already fearful climate in Laos’ environmental grassroots organisations. Land rights and enforced disappearances aside, dams on the Mekong have serous ramifications far beyond the borders of Laos. The Xayaburi Dam is the first of 11 dams planned for the Lower Mekong River, nine of which are in Laos. 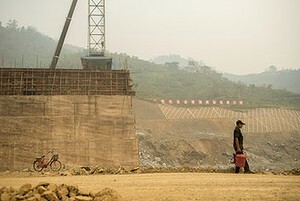 Environmentalists have already blamed China’s five Mekong dams, as well as drought, for some of the lowest water levels seen on the river in 50 years. China denies it is responsible. On top of providing crucial sediment for arable land downstream, the Mekong sustains the world’s largest inland fishery, with 877 species. According to conservation group Great Rivers Partnership, this supplies an industry worth between $3.84 billion and $6.89 billion. Fish are a foundation of regional food security. In Cambodia, 80 per cent of the nation’s animal protein is provided by freshwater fisheries. Alarmingly, a study of the proposed 11 Lower Mekong hydropower dams by the International Centre of Environmental Management concluded that the dams would reduce fish numbers by 26 per cent to 42 per cent. In April, delegates from eight Thai provinces on the Mekong were joined by protesters from Cambodia as they occupied the entrance to the headquarters of the dam’s construction company, Cr Karnchang, one of the dam’s financiers. Should the worst fears of environmentalists materialise, countries downstream from the dams stand to bear the brunt of any damage to the Mekong’s ecosystem. Although Vietnam and Cambodia have plans for their own hydropower projects, they have already objected to the Xayaburi Dam through the Mekong River Commission, of which Thailand and Laos are also members. 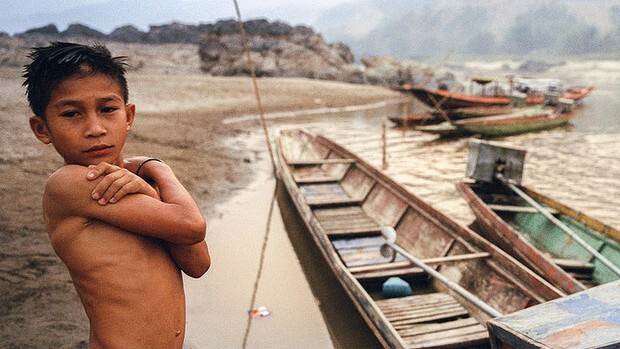 Vietnam has called for a 10-year moratorium on all Mekong dams. Such concerns have been brushed aside by Lao Deputy Minister for Energy and Mines, Viraphonh Viravonghas, who claimed the extensive construction is merely ”preparatory work”. ”Laos has simply ignored the requests repeatedly made by Cambodia and Vietnam to study the trans-boundary impacts of the dam,” says Ame Trandem, south-east Asia program director at International Rivers.